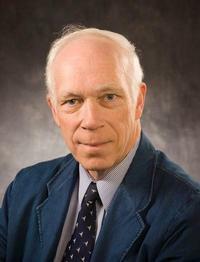 Dr. Robert A. Ormiston, US Army Emeritus Scientist, has been honored with the 2015 Alexander A. Nikolsky Honorary Lectureship- Nikolsky Certificate and medallion. He was cited for “Dedicating over 40 years to analyzing and understanding critically important rotary wing aeromechanics phenomena.” The Nikolsky Lectureship is awarded to “an individual who has a highly distinguished career in vertical flight aircraft research and development and is skilled at communicating technical knowledge and experience.” The 35th annual lecture was delivered at the 71st Annual Forum and Technology Display in Virginia Beach, Virginia on Tuesday, May 5, 2015. The lecture, titled “Revitalizing Research for the Next Generation of Advanced Rotorcraft” featured in an edition of the Journal of the American Helicopter Society, the world’s only scientific journal dedicated to vertical flight technology. As a researcher and manager for the US Army Aeroflightdynamics Directorate (AFDD) beginning in 1968, Ormiston conceived, conducted, and led research investigations and programs that contributed new fundamental scientific and engineering knowledge in rotorcraft structural dynamics, aeroelastic stability, aerodynamics, rotor loads and vibration, comprehensive analysis, flight mechanics, and control, and advanced design concepts including hingeless and bearingless rotors, variable geometry airfoils, and smart structures. Ormiston’s pioneering work in comprehensive analyses, coupled with computational fluid dynamics modeling, has enabled a new generation of rotorcraft industry design and analysis tools. Ormiston graduated from Rensselaer Polytechnic Institute with a BS in Aeronautical Engineering in 1963. He received a Master of Science in Engineering in 1964 and a Masters of Arts in 1966, both in Aerospace and Mechanical Science, from Princeton University, as well as a PhD in Aerospace and Mechanical Science in 1969. Prior to earning his PhD, Ormiston became a US Army research scientist with the then US Army Aeronautical Laboratory at Moffett Field, CA, where over the next 46 years, he would make unmatched contributions to the field of helicopter aeromechanics technologies. Ormiston worked closely with his AFDD colleagues to provide the rotorcraft community with validated analysis tools in the 1970s to understand hingeless and, in the 1980s, bearingless rotor aeroelastic stability. The scientific research approach of fundamental engineering analysis with experimental validation using small-scale rotor testing established a research paradigm in the rotary wing technical community followed to this day. Ormiston’s seminal technical contributions during this period led directly to advanced helicopter rotor hub designs and geometries in the following decade, culminating in the US Army Boeing-Sikorsky RAH-66 bearingless hub design. The need to further advance emerging computer analysis tools led Ormiston to organize and host the first AHS Specialists’ Meeting on Rotorcraft Dynamics at NASA Ames in 1974. At this meeting (which has been held every ten years since), Ormiston presented the results of a blind correlation study for rotor loads predictions using industry and government computer analyses. These modeling tools, somewhat primitive by today’s standards, were the generation of tools used to design the UH-60A and AH-64 helicopter rotors of the 1970s. From Ormiston’s study came focused recommendations on fundamental areas of improvement to enable the next generation helicopter rotor designs. With future generation helicopter design tools in mind, Ormiston became technical lead for the development of the US Army second generation comprehensive analysis for helicopter modeling. Building on the rotorcraft technical community’s advances in rotor blade structural modeling, unsteady aerodynamics understanding, and improved rotor wake modeling, Ormiston became the principle advocate for and government sponsor of the Second Generation Comprehensive Helicopter Analysis System (2GCHAS). With the unique approach to US industry-wide participation and coordination in its development, this effort established an exceptionally deep appreciation and need for improved rotorcraft modeling for performance, stability, loads, and flight dynamics across the entire rotary wing technical community. Upon completion of the UH-60A Airloads Flight Program in the early 1990s, Ormiston came to realize the potential for, once again, a US industry-wide engagement in the assessment and improvement in helicopter rotor blade structural loads and airloads predictions. Yet as computational modeling of rotor airloads and wakes improved with ever-improving computational algorithms and computing resources, Ormiston challenged the nascent UH-60A Airloads Working Group under the National Rotorcraft Technology Center to demonstrate correlation with measured UH-60A flight airloads. Ormiston reached out to critical Rotorcraft Center of Excellence university members and other government researchers to augment the aeromechanics expertise, skills, and modeling tools of the Working Group to achieve the critical mass to achieve a historic modeling breakthrough in 2004. Today we know that technology breakthrough as computational fluid dynamics/computational structural dynamics (CFD/CSD) coupling. Recognizing not just the importance of comprehensive analysis/computational fluid dynamics coupling to predicting rotor steady state airloads, Ormiston and his fellow researchers were also the first to step up to the challenge of predicting rotor airloading under extreme maneuver conditions. In addition to Ormiston’s long list of rotary wing technical contributions, his leadership, collaboration, and inclusive approach to research have also been significant. No single individual in the rotorcraft community has worked more closely with rotorcraft researchers and engineers across the spectrum of rotorcraft manufacturers, companies, laboratories, and universities over the past half century. And, perhaps most importantly, Ormiston has mentored and inspired two generations of university graduates, many of whom are today’s rotorcraft industry leaders, lead designers, and decision makers.